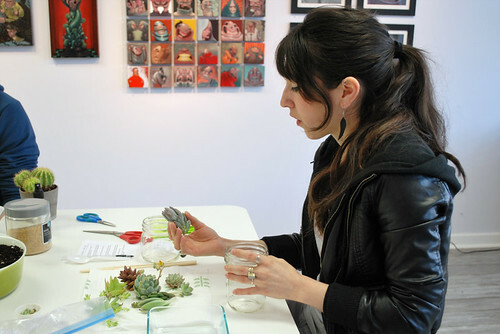 LIGHT GREY ART LAB: Succulent Terrariums Class - Mini Worlds! 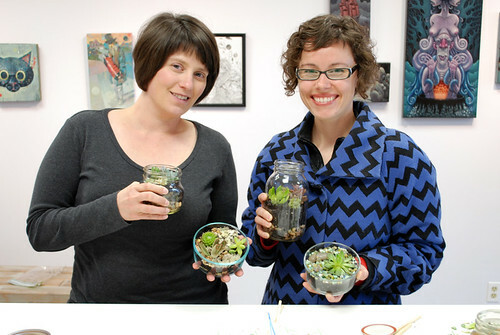 Succulent Terrariums Class - Mini Worlds! 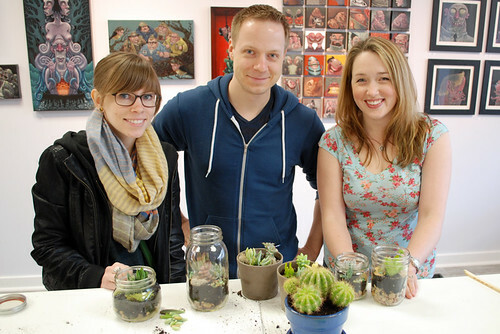 We held an awesome Succulent Terrariums Workshop last Sunday! 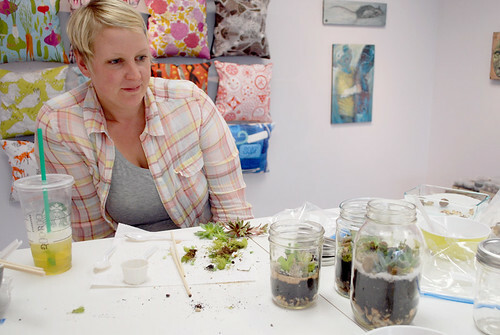 10 of us gathered around the studio tables crafting and learning all about how to make and take care of our mini-worlds! 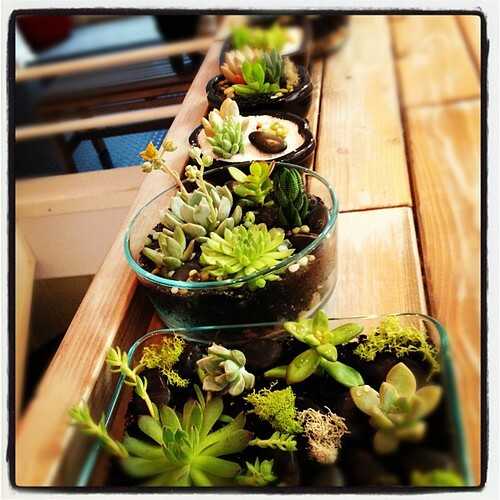 Succulents happen to be in high demand for home decor these days! We've seen them popping up in high end places like West Elm and we've seen them all over the internet. 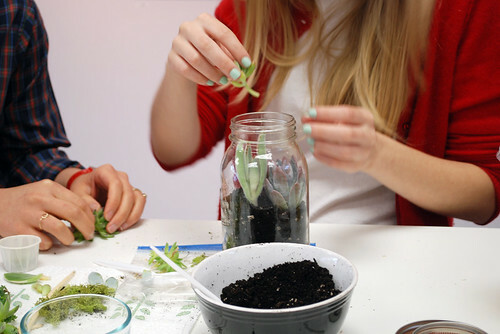 Once we went over the basics of planting and preparing the space for them to live, the customizing began! A couple of the supplies for our workshop! 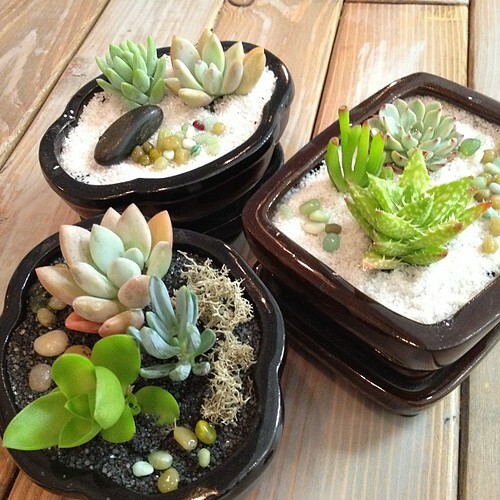 Each group had a base pack of vessels, a selection of different types of succulents (lovingly supplied by SucculentsGalore.etsy.com) and a ton of moss, rocks, and colored sand! It was amazing to see how many different styles and configurations everyone came up with! 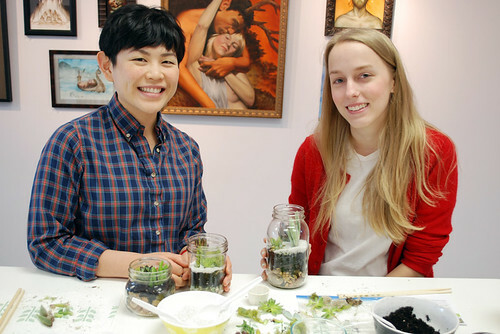 We had a ton of smiles and a wide array of completely beautiful terrariums when we were finished! 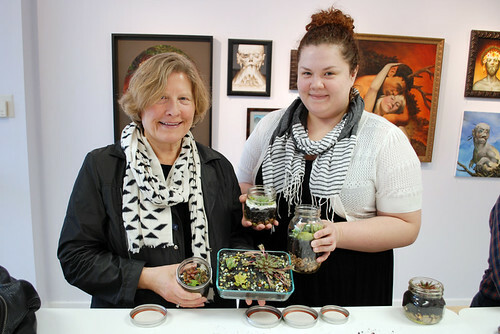 Here are some great pictures of our students with their creations! Thank you everyone for joining us! It was a blast! 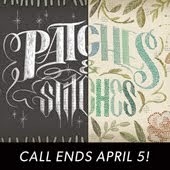 I'm super excited to offer this class again! 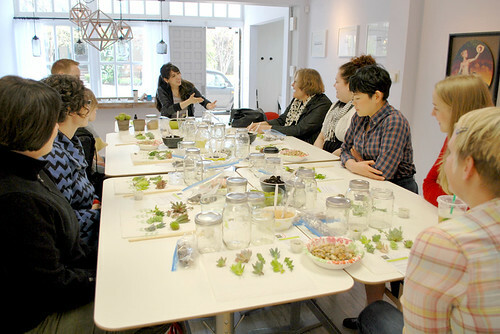 I'd love to offer a moss & fern class, too! 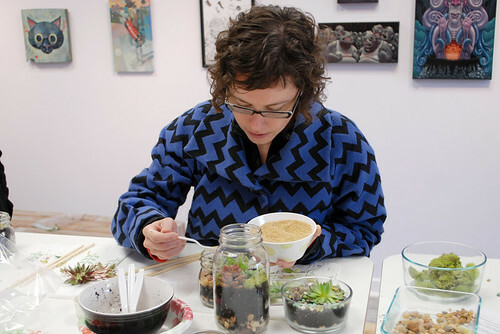 Take a peek at the rest of the pictures from this course here! 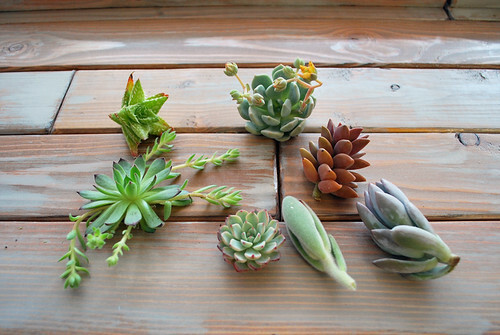 Nice looking succulent plants you have there! When will be next the class? 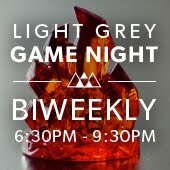 I really want to attend.